The low suspended clouds in a slow motion dance envelop surrounding peaks in a white satin. They play with me a kind of “cat-and-mouse” game as I’m trying to get the best photo shots. But this cloudiness adds to the mystery of the place, changes its forms, colors and shapes feeding my imagination. Well, I guess I talk too much, so I’m leaving you alone with these pictures, knowing that they will be the source of inspiration….. Indeed in some situations (and this is certainly one of those) the silence is priceless. We have to be silent not only to hear our unspoken words of admiration and respect, but also to capture sounds of the Mother Nature. 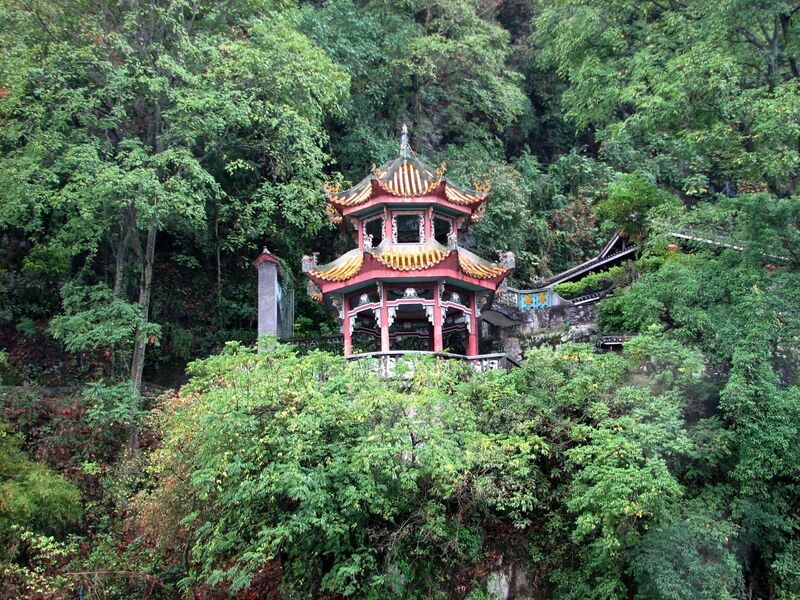 The end of our trip was announced by this beautiful pagoda-like structure on the steep slope across the river. 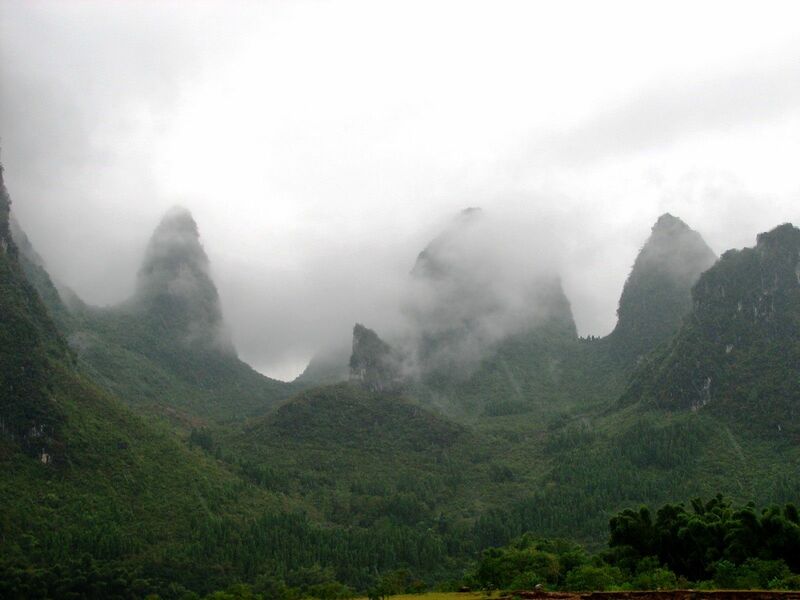 Finally after few hours of meandering through the shallow waters of the Li River, experiencing rain, layers of clouds and the hiding sun - we arrived to Yangshuo. Yangshuo - city of the spectacular show on the Li River. Yangshuo is a typical Chinese city located along the Li River. These days however its enjoyed for centuries peaceful “local” image is strongly modified by huge influx of tourists disembarking here from countless Li River cruise ships. No wonder you will find here all kind of so-called “souvenirs”… some of great taste and value, some very doubtful. Yangshuo panorama, streets and traditional garments. If I will stop the Li River cruise pictures and stories at this moment, the “glass” will be more than half empty. …. Because the best that Yangshuo has to offer happens the late evening next to the town on the waters of the Li River. 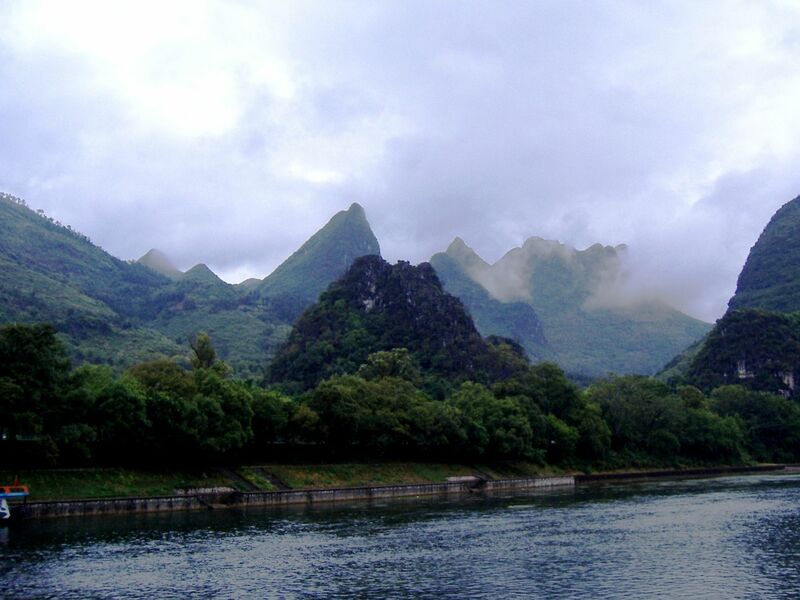 As I learned there - the Li River is a source of everything – not only the traditionally appreciated - water and fish, but in this case, also the source of “spiritual emotions”, inspirations, and soul touching impressions …. . Welcome to the fantastic fairy-tail musical: "Impression – Liu Sanjie” by the acclaimed director Zhang Yimou. BTW for those interested – the overwhelming success of this fabulous spectacle led to the series of “Impression- musicals” throughout the China. All are co-directed by Zhang Yimou and performed in the natural scenery…. 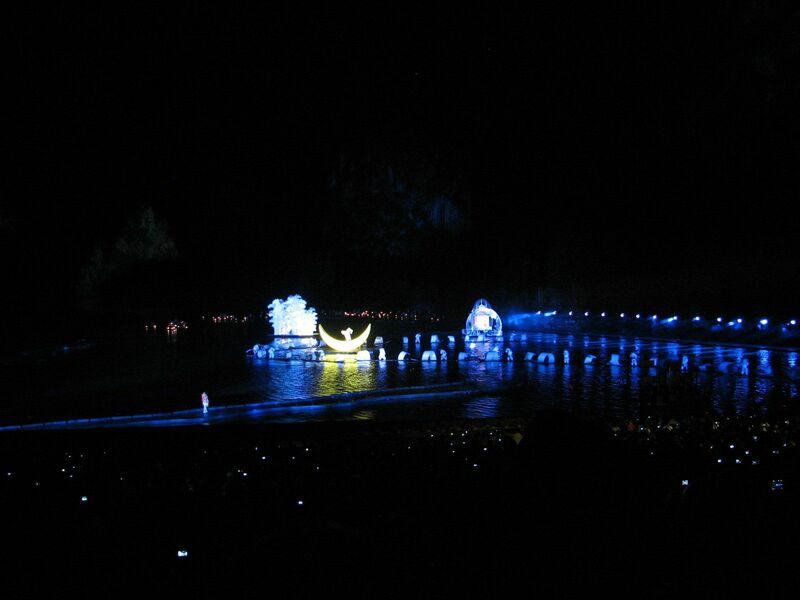 Impression – Liu Sanjie: Fairy-Tale on the water.